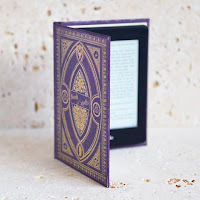 Philip Sinclair's grandmother leaves him the unusual legacy of a translated journal of his ancient ancestor, who was one of the four Cathar perfecti who escaped from the castle of Montsegur with the 'treasure of the Cathars' strapped to his back - a treasure that has never been found. She also requests that he travels to the Pyrenean fastness of le Bezu where she believes the treasure still lies. Meanwhile, the famous young French archaeologist Jaqueline Blontard, known as Jackie, arrives at le Bezu with her assistant to prepare excavations as part of her new television series about the Albigensian Crusade. They believe nobody is yet aware of their explorations, but they couldn't be more wrong. Not only does the Roman Catholic Church already know about their plans, but a secret body in Paris has sent someone to watch the excavations and a criminal gang in Marseilles has become involved in the search for the Cathar treasure. 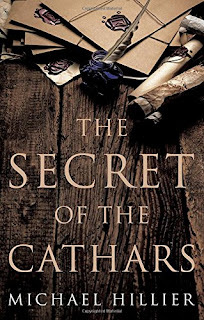 Full of suspense, action and romance, The Secret of the Cathars explores the mystery of the Cathars and the historical events that supposedly took place years ago in a contemporary story. It will appeal to fans of historical mysteries and thrillers such as The Da Vinci Code. I had never heard of The Cathars before so, in addition to being a fantastic story, this was a really interesting history lesson for me. It did take me a few chapters to really get into the book as there were a lot of different characters introduced at first, but once I got into the story I couldn’t wait to pick it up each evening for another instalment. Philip Sinclair inherits his Grandmother’s house when she passes away, along with a letter requesting that he travel to the ancient Cathar stronghold le Bezu to find some scrolls that his ancestor had hidden in the castle. Philip is also given a diary belonging to his ancestor, Phillipe de Sainte Claire, which his Grandmother has translated into English. This is his key to finding out where the scrolls have been hidden. When he gets to France, he finds that a team of archaeologists have started excavating le Bezu and his interest in the site makes him anything but welcome. Then one of the team is discovered dead on the site and a murder investigation gets underway with Philip being one of the main suspects. Unbeknown to the police there are lots of other suspects, some even hidden amongst the archaeology team. Nobody is who they seem. I've always dreamt of being an archaeologist so I loved the character of Jacqueline Blontard. Jackie is an archaeologist who has her own series on TV France where viewers can follow her current project. She has come to le Bezu to excavate the Cathar stronghold and to my absolute delight le Bezu is a real place. I even found that when I googled it, I had drawn an imaginary picture in my mind that was pretty close to fact – thanks to the vivid scene that was set by Michael Hillier’s amazingly descriptive writing. This really is an excellent book reminiscent of Dan Brown’s Robert Langdon novels. There are so many different people trying to get their hands on the treasure that you don't know who to trust. I even had goosebumps at the ending, and like the Da Vinci Code it certainly made me think 'hmmm, maybe...'. If you enjoyed the Da Vinci Code, you will enjoy The Secret of The Cathars - it's perhaps not as 'Hollywood' as Dan Brown but it's an absolutely riveting read. I received this book from Authoright PR in exchange for an honest review.